3/4 inch doubled and stitched headstall in tan bridle leather. 3/4 inch rolled chap leather browband with latigo braiding. 3/4 inch cart buckle behind left ear and ½ buckles at the bit end. 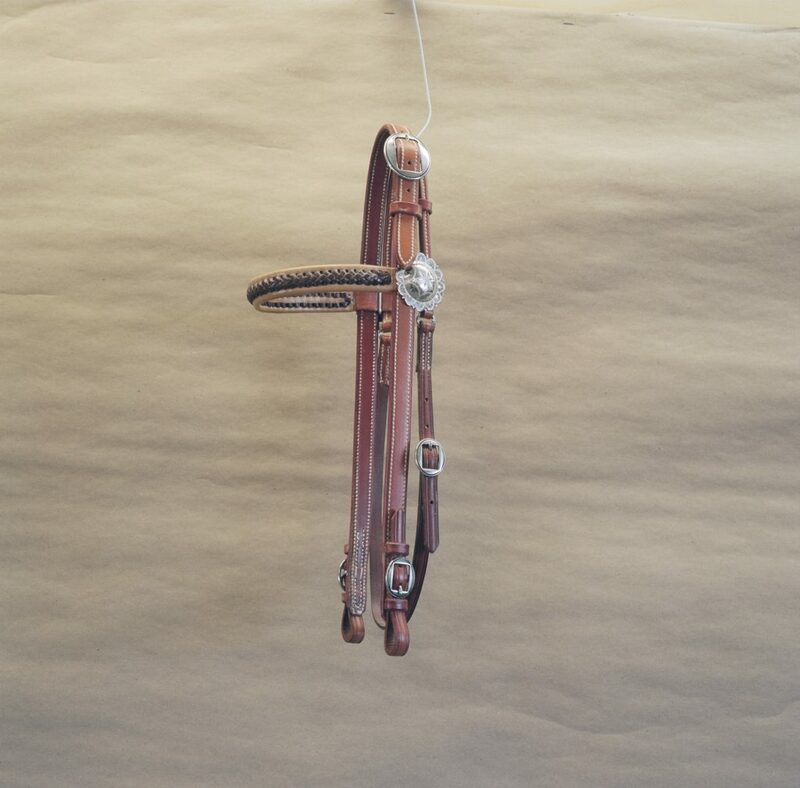 This headstall can be head in Tan, Chestnut, Brown or Black.